*Disclosure: I received a Blu-ray copy of this film in exchange for this review. The opinions expressed here, however, are my own. 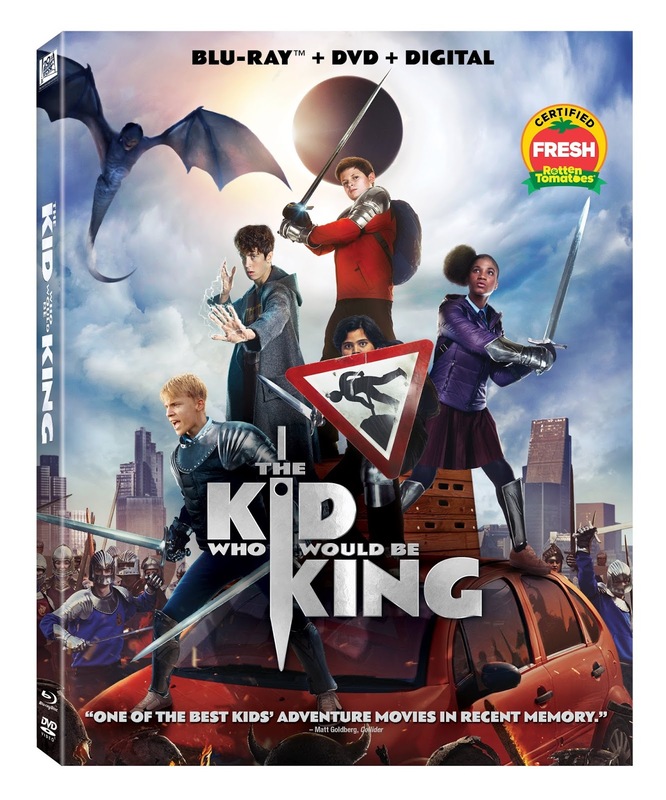 I missed out on The Kid Who Would Be King in theaters, so I was happy to receive a Blu-ray copy of the film to review. Alex (Louis Ashbourne Serkis) and his friend Bedders (Dean Chaumoo) are geeks, and often get picked on at school by bullies. When they find a sword at a random construction site, Alex is convinced that it's Excalibur, and it soon becomes clear that it indeed is, and that they've unwittingly embarked upon a quest. Alex and Bedders need to befriend their bullies in order to get help with the quest, and they find out some interesting things about them along the way. This was a fun adventure movie, and it excels within its last half hour, when Alex, Bedders, and the entire school team up to defeat Morgana (Rebecca Ferguson, The Greatest Showman), who wants to defeat them and rule the world. You'll likely not recognize most of the cast here, except for Patrick Stewart, who pops in and out, and his character is usually represented as a teenager (played by Angus Imrie). The end of this movie reminded me of Hook (and that's a high compliment from me, as it's one of my favorite movies) and the film had some good action scenes throughout, as well as good teachable lessons for kids. It's rated PG but I will say it could be scary for younger kids, especially the scenes with Morgana. Two of my lucky readers will win a Blu-ray combo pack of The Kid Who Would Be King! Enter via the widget below. Giveaway will end on Thursday, April 25th, at 11:59pm EST, and winners will be notified via email the next day, and have 24 hours to respond, or an alternate winner(s) will be chosen.